Reach: Reach is the total number of unique accounts that see your post. Your reach is based on an Instagram algorithm and there are specific things you can do to extend or increase your reach. There are also things you should avoid so that the algorithm does not limit your reach. Engagement and Engagement Number: YOUR engagement is a combination of your posting profile (how much, how often) and how many times you like, comment, tag, or follow other Instagram accounts. The number of likes, comments, tags, and follows your posts and account receives tells you how engaged other accounts are with you. Your engagement number, in its most basic form, is the number of likes and comments a post receives divided by the number of followers. 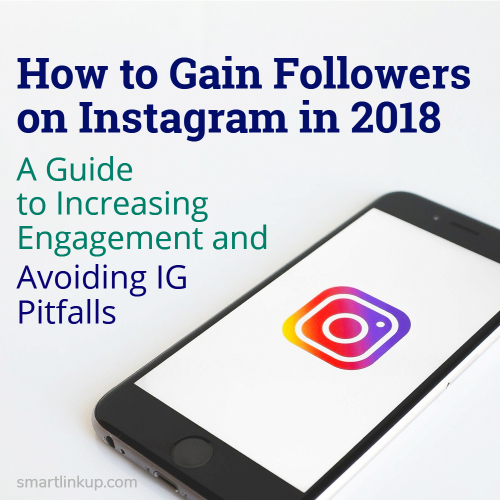 There are four areas of focus that will boost followers on Instagram and increase your IG engagement and reach. Focus Area One: Create Great Content. Do your research: Creating good content starts with doing good research. Observe popular accounts in your topic area and take note of their design aesthetic, posting frequency, captioning, and hashtag use. Use that information as a springboard to carve out your own niche and add value to the subject area. Post pictures and videos that reflect your personal style. Lighting is key and worth investing in if you don’t have access to natural light. Use Instagram features like the filter and edit functions to perfect the original. Other apps, like FaceTune, can help smooth imperfections and soften backgrounds. Avoid posting pictures that are blurry or off topic. Keep your videos between 14-20 seconds. Caption carefully: To increase likes on IG, your captions should be fairly short, reflect your IG account personality, and use key words that match popular hashtags and have a high likelihood of appearing in the comments section. Instagram will extend your reach when key words are found in these three places: caption, hashtags, comments. Post a viral video: This is a tongue in cheek way of saying pay attention to how social media and Instagram is changing. In the past year, Instagram has started to give greater exposure to videos and stories rather than photos. Savvy social media users know that to stay relevant, gain followers, and engage people, you must be open to change and resist getting stuck in one mode of communication. Focus Area Two: Engage Strategically. Engage with key accounts. Find popular accounts that you genuinely like and regularly like and comment on their posts. Always reply. If someone leaves a comment under your post, reply with a few words to increase the chances they’ll comment again. Post consistently. Post at least once every other day, preferably once a day. IG rewards accounts that post consistently by extending your reach and exposing your posts to more accounts. Determine your engagement number. Aim to increase that number over a set amount of time by tracking your activity and documenting what works to increase engagement for your account. Use popular hashtags. Find popular hashtags that reflect your specific post and are not over-general. Be sparing when using hashtags that have millions of posts. If a hashtag has 6 million posts, how will you stand out? Avoid using too many hashtags at once or using the same hashtags repeatedly. The first can make you look desperate and reduce engagement. The second may result in Instagram reducing your reach. Make a list of trending hashtags. Pull from that list, using a set of hashtags for one post and a different set for the next post. Hashtags should contain text found in the caption. IG rewards accounts that have the same key words in the caption, hashtags and comments. Create your own hashtag. I highly recommend creating at least two hashtags you use regularly that are specific to your account. Once you have built a community you can create your own hashtags and get them to trend. This is a great way to increase your visibility. Some regular accounts and all business accounts have a tool through IG called Instagram Analytics. This IG feature allows you to see your reach, the demographics of your followers, and the time and day your followers are active. Post, like, and comment when your followers are most active. Use social media analytical tools to determine the days of the week and time of day your account receives the most looks, likes, and comments. Engage with popular accounts and accounts who are high engagers. There are several tools you can use to create a list of accounts that you should engage with and follow. Know your followers. Create posts that are targeted towards the demographics of your current followers. This will increase the number of likes you get and is a fast way to increase followers on Instagram. Repeat Success. Examine your most popular posts and create similar content to increase the number of likes and follows on future IG posts. Keep in mind that a post may generate more likes and comments on days where you are more engaged. Posting more than twice a day. This seems counter-intuitive, but the IG algorithm starts to limit the number of people who see your individual posts if you post too many times to Instagram in a 24-hour period. Not posting consistently. A gap of more than two days can really hurt your reach. Over editing your photos. Use a light touch when editing so your pictures don’t look fake or photoshopped to death (Unless that’s your style!). Not being genuine. Stay true to yourself. If you’re not funny, don’t attempt to be. Find a style that works for you and your account identity and stick with it. Buying followers. Some people buy followers to boost their overall following. I highly discourage you from doing this. Anyone can see your follower data, so if you gain 25k in one day, it will be obvious that they were purchased. Also, your engagement number will go down, as the accounts you buy are not likely to engage with your posts. Tagging large accounts or asking people to follow you. In general, avoid tagging accounts you do not know or that are not specifically addressed in your post. Tagging a large account just so that you will show up in their tagged pictures feed is a good way to get blocked by that account. Asking someone to follow you either in a comment or in a DM without any attempt at actually engagement is considered rude and not likely to yield any positive results. Stealing Pictures and Mimicking Popular IG Accounts: If you use other people’s pictures, artwork, or logos they must be clearly credited. If you do not give proper credit, your account can be put on hold or shut down. If you use a similar name and logo to mimic a large account in hopes of gaining a following, you may also be shut down. Posting advertisements and product reviews. If you post too many advertisements, you will see a decrease in your engagement. Giveaways and contests. These can be fun, but as far as engaging people or adding followers, there is not much return on your investment. Do not get too caught up in the numbers or rules. Some people have great success using cute cat stickers on every post, others are known for their crappy photography (Honestly!). The most important thing is to post and engage in a genuine way. This is after all “social” media and should be used as a fun opportunity to engage people with similar interests. Ruth White lives in Los Angeles, CA and has her MA in Sociology with a Minor in Statistics. Her Instagram, @squishdelish, has 85k followers. She has evaluated a broad range of policies and programs from juvenile drug courts to cost estimating at the WA State Department of Transportation. She loves animals, reading and trying new foods. Her two cats, Duffy and Fergie, are her greatest pride. 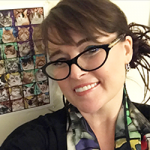 Follow her cats on Instagram at www.Instagram.com/squishdelish and visit her website at squishdelishcats.com or Facebook page at www.facebook.com/squishdelishcats. All great tips, and thank you for sharing! What are your thoughts on using a business, rather than a personal account? My niche is running/fitness/health and I do have a blog with the same name. Thanks! “Post viral videos” – I think it’s funny when people suggest doing things like that, cause what the heck constitutes a VIRAL video – ha! My husband makes relevant comedy sketches that are STUPID GOOD (well shot, executed perfectly) yet don’t get the well deserved eyes. So I seriously give social media the middle finger, ha! I do love Instagram though, because pretty photos do me in every time! This is indeed a comprehensive guide. The most deadly sin I’ve ever seen on Instagram is buying followers. People do that to boost their social proof but of what need is it if there’s no engagement? Nothing trumps over organic growth. You will connect more with real people that will go on to buy your products and hire you as well.